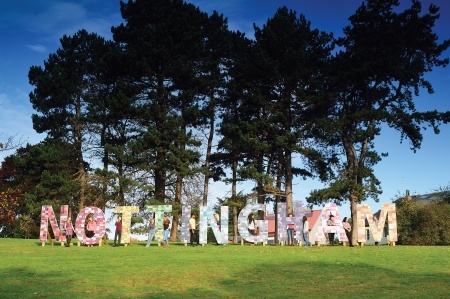 University of Nottingham > Blogs > Off Campus > Advice > Welcome to Community Living! To welcome you back we have prepared some hints and tips to help you settle in to your new home. Have a look at our Greeting Card for our handy checklist to help your move go smoothly. Introductions- Why not introduce yourself to your neighbour? Saying hello at the beginning of term can make a real difference. Bins- Find out when your bin collection day is and sign up for text reminders. Keeping your bins tidy will keep your neighbours happy. It sounds simple but it really is true! Noise- Think about your neighbours and how their lifestyle may differ from yours. If you have a party please remember to let your neighbours know, keep the windows and doors shut and keep the noise to a reasonable level. We know it is exciting when you go into the city centre, and return from nights out but this is often the time when we get calls about loud noise in the streets, particularly in Lenton! Please try to keep the noise down when you are travelling to and from town. Your neighbours will probably be going to bed earlier than you; many will have children or will be getting up early to go to work. Mark 1st October in your diary! We would like to officially invite you to our Moving In Moving On event at Portland Atrium running between 12pm and 3pm. We have a wide range of agencies coming along to give advice/answer questions on everything you need to know about living in the community. We are also running a competition to win an iPad so you could even go home with a great prize! We will be running a PR Project Management module this term (Module reference XX1N08N) so have a look at the Advantage Award workspace if you are interested in getting directly involved with the work of the Off Campus Affairs team. Applications are open between 28th September and 23rd October. Good luck for your move and welcome back! You’re Welcome! A Q&A with Phil Rowson. Award winning Driver of the Year!